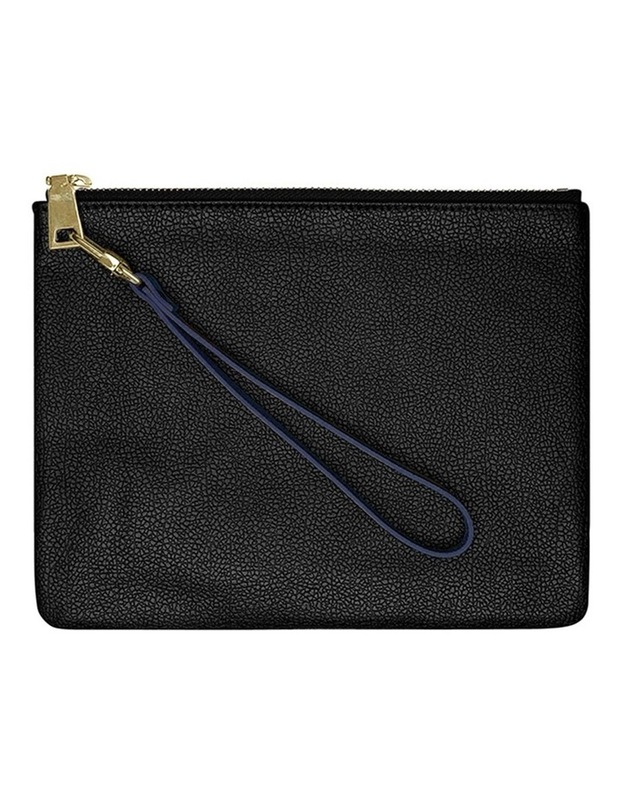 The Grainy Pouch Wristlet in sophisticated navy lends extra versatility to your favourite Mon Purse Pouch. Crafted from premium European leather, it boasts the elegance of a gold clasp and adds a sense of practical versatility. 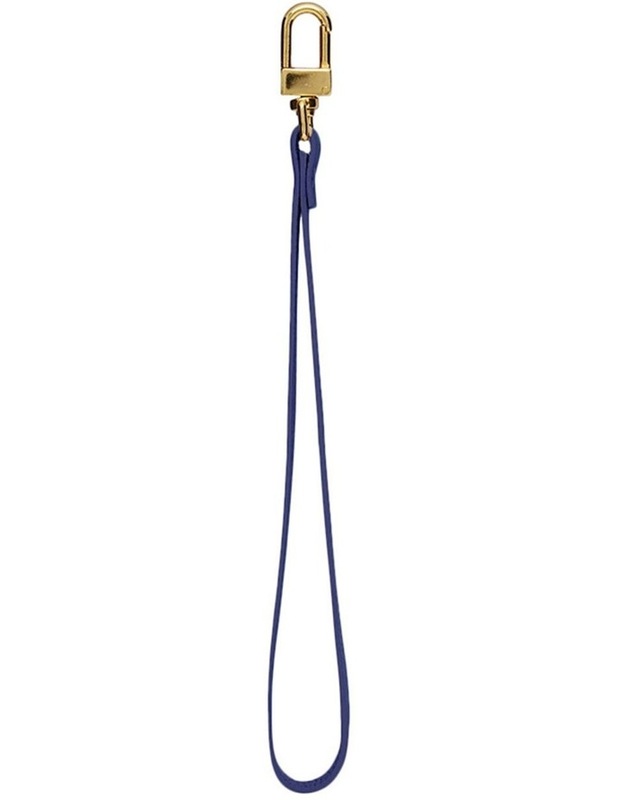 Attach this wristlet to your classic Mon Purse Pouch, or use it to decorate another handbag style of your choice. Features: gold tone hardware. Dimensions: 18 x 0.3 x 0.5 cm. Composition: full-grain calfskin leather with a firm, small grain finish.